The achievements of the Whitlam Government were not the work of one man alone, but of a team of ministers. 32 men served in the Whitlam Government between 1972 and 1975. Below is a list of these men, and the various ministries that they held. 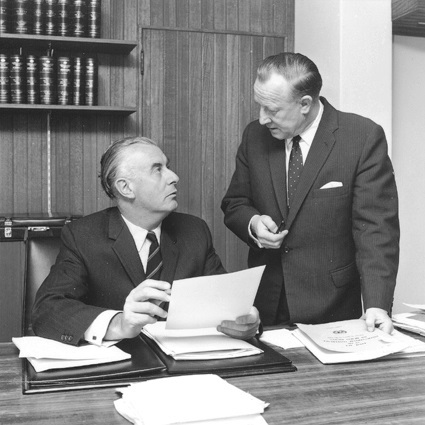 The unusually large number of ministries held by Gough Whitlam and Lance Barnard is explained by the fact that for the first two weeks of the Whitlam Government, the two men formed a ministry of two, known as the 'duumvirate'. During this time the two enacted as much significant reform as possible that did not require legislation. 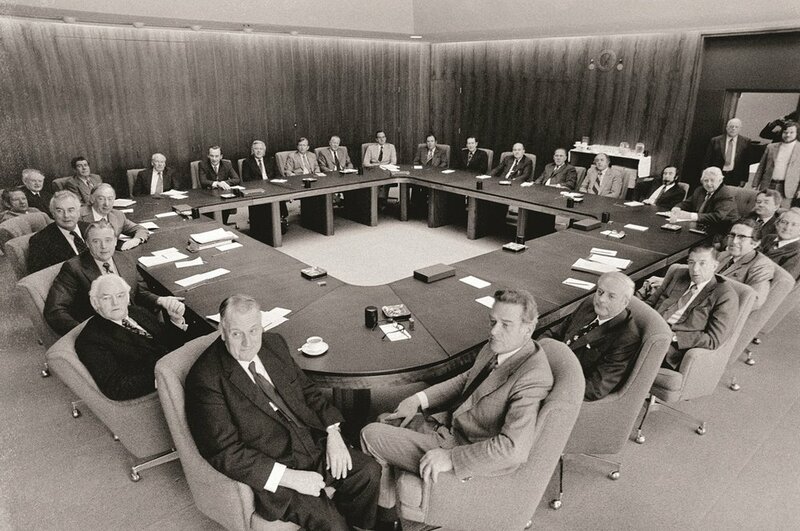 When the election results of every seat were finalised, the full ministry of 27 ministers was then elected by the Labor Party caucus on December 18th, 1972. Fred Daly, who was appointed Minister for Services and Property commented "I wouldn't care if he'd made me Canberra dog-catcher. As long as I'm in". 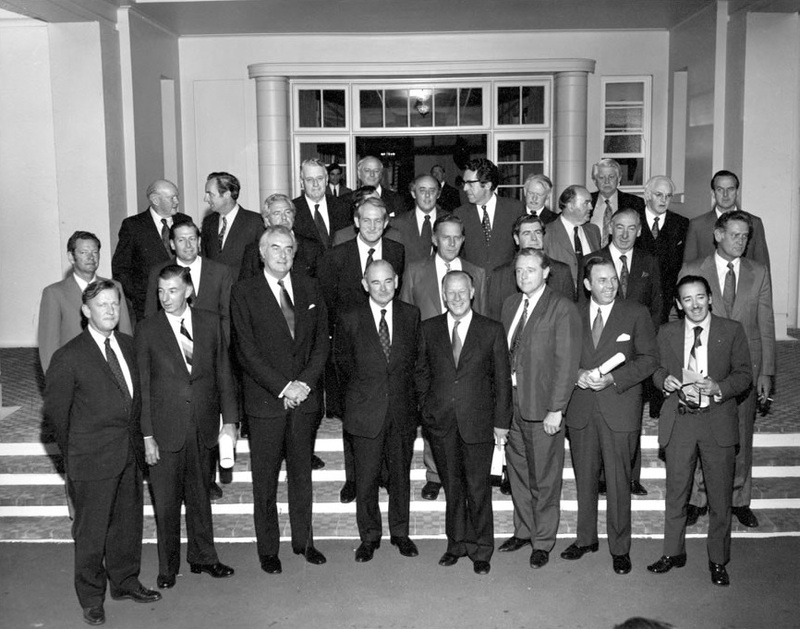 The Whitlam Government was unique in that all of its ministers were members of the cabinet.